Determined to seek his fortune, Percival Taylor leaves behind his sleepy hometown and sets out to become a legendary pirate. The only problem is, no one at the rough-and-tumble seaport of Blackshore will allow him anywhere near a ship! 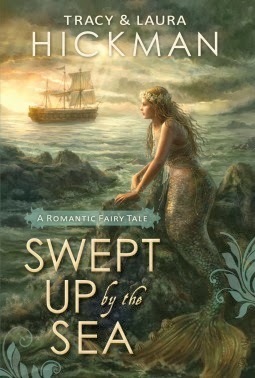 Percival must find other means to win the heart of the beautiful Tuppence Magrathia-Paddock, who has mistaken him for a pirate rogue out of one of her romantic books. She is entirely willing to swoon into his arms if he can prove his buccaneer soul—and she will even arrange her own kidnapping to prove it. Percival eventually find himself captain of a broken-down ship, complete with a crew of reluctant pirates, a jilted fiancee, a reclusive master shipwright, and an old professor with a magical secret that could kill them all. Join the strangest assortment of characters you'll ever meet on the Nine Seas as they set sail for treasure and romance! This book would be probably be enjoyed by fans of The Princess Bride. For me, the descriptions were overwhelmingly wordy and trying so hard to be charming and clever, it detracted from the story and I didn't feel any connection to the characters. It was a struggle to maintain interest.